A Metal Frame Suspended Ceiling System. Be unique with your ceiling designs, Next Level Plastering can help! MF is a suspended ceiling system suitable for most internal dry-lining applications. This fully con-cealed grid and ceiling lining can be used in combination with plasterboards to create a seamless, monolithic appearance. In terms of appearance, these ceilings offer a lot of versatile options. 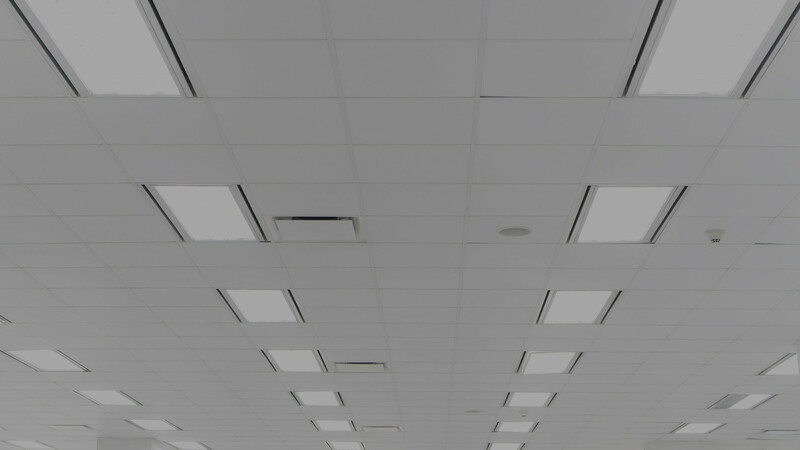 For example, if you are look-ing to achieve variations of light and levelling, you can easily add a curve to the MF suspended ceiling so this can be achieved. MF ceilings also have other benefits. The metal frame makes these ceilings not only fire resistant but it also allows for additional soundproofing if this is desired. Furthermore, during the installation of the ceiling, there is the opportunity to build hatches into it. Next Level Plastering offers many dif-ferent styles to these ceilings including beaded frames, which can be given a skim finish. Also a picture framing in which there is a clear border, with a skim finish, of the hatch created. Next Level Plastering is number one in Yorkshire at installing MF ceilings. So you can trust that they will install all ceilings to an excellent high quality standard; from assembly to fin-ish.